About six months ago, a pastor in Kenya told his congregation that they could be saved by good works. In his pews were about 80 children from a nearby orphanage, ranging from second grade to high school. “They were debating and asking questions,” said David’s wife, Julie, who co-administrates the campus with him. “It was really good.” Within a week or two, most of them switched to other churches. The children had just finished 30 weeks in a daily Bible study on the book of Romans, so they knew grace backward and forward. But the timing wasn’t just an unlucky coincidence for the pastor—these children are in the middle of a 553-week Bible study. That’s more than 10 years of memory verses and study questions. 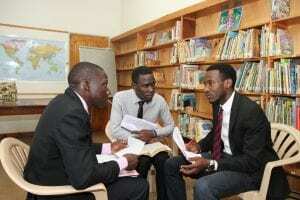 “By the time they get to grade 12, they will have studied 90 percent of the Bible verse-by-verse,” David said. 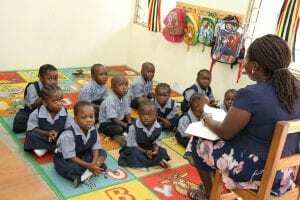 The curriculum was written by Reformed theologians and is used—partially or completely—in orphanages, church schools, widows’ groups, and partner churches in Africa. Thousands of students, teachers, employees, church leaders, and church members have studied the Bible with it. A Bible study this intense “doesn’t exist anywhere else—even in the United States,” David said. Until now. This month, the Rafiki Bible Study for Groups is being released for use in America. It’s like a homecoming, because the Bible study came from the United States, the brainchild of American missionary Rosemary Jensen. Jensen’s definitely in her golden years—this July, she’ll turn 90. But that’s not likely to slow her down. When she first dreamed up the Bible study project, she was a 75-year-old retiree. Jensen grew up Reformed, in a Southern Presbyterian church in Jacksonville, Florida. She came to faith in Christ when she was 16. But she was determined, and for three and a half years, she read a chapter of her King James Version every day. For the rest of my life—I’m 89 now—I have read the Bible every day that I can remember. When she was 17, she heard a foreign missionary presentation at her church and fell hard for the idea. But back then, “women could only be missionary nurses or teachers,” so she went to college, majored in education, and began teaching school in Florida. When she was 23, her sister told her the army was offering to train young women in occupational therapy. Jensen “liked arts and crafts” and her day job “was not very exciting,” so she joined the Army. While there she met an Army battalion and regimental surgeon just back from Korea. The Jensens took their 2-year-old daughter and worked in Tanzania from 1957 to 1966. 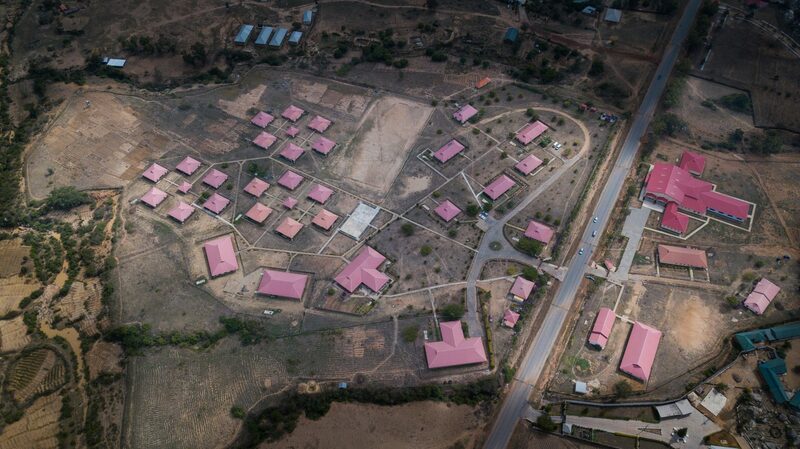 Bob helped to start Kilimanjaro Christian Medical Center, a regional hospital that is still the largest in the area. Rosemary taught at an international school and gave birth to two more daughters in a local mud brick hospital. And they both watched 34 African countries declare independence from Western Europe. Those new governments started off shaky, as politicians sorted out power and responsibilities. 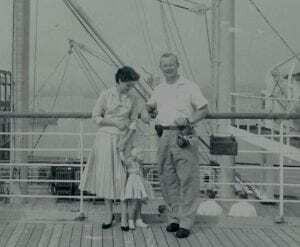 Everyone was looking for support, and with their hospital connections and American passports, the Jensens were good friends to have. 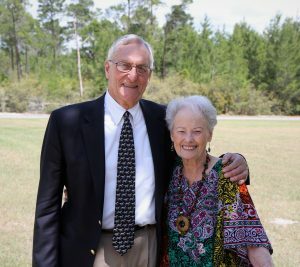 The couple “recognized the importance of working with African government and church leaders,” said Karen Elliott, who leads the foundation the Jensens’ started. Over the years, they built friendships with leaders across the continent. “The grace of God puts us in the place he wants us to be, because he knows what he wants us to do,” Jensen said. Years later, her work would benefit from those decades-long friendships. The Jensens came back from Africa in 1966, eventually settling in San Antonio where Bob was chief of medicine at San Antonio State Chest Hospital and Rosemary started a Bible study in her home. 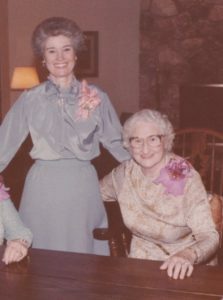 One of her attendees connected her with Bible Study Fellowship (BSF)—a structured, expository study of the Bible developed by missionary Audrey Wetherell Johnson in 1959. Within two years, Jensen was a BSF area adviser; within seven years, she was running the whole operation. She spent nearly 20 years as executive director; under her watch, around 200 BSF classes grew to more than 900. “In the meantime, I got to know a lot of people,” Jensen said. She’s not kidding. She and Bob were part of the International Council on Biblical Inerrancy and two of the 334 signers of the Chicago Statement. As head of BSF, she was invited to join the council of the Alliance of Confessing Evangelicals, which over the years included Mark Dever, Ligon Duncan, Michael Horton, Al Mohler, and R. C. Sproul. “But I’m not a theologian,” she told Presbyterian pastor James Montgomery Boice, who asked her to join. “My goal was to put BSF classes in Africa, because I was involved in those countries,” Jensen said. She and Bob had lived on his income while saving hers, which enabled them able to start the Rafiki Foundation. (Rafiki means “friend” in Swahili.) They started with two missionary couples who worked at Kilimanjaro Christian Medical Center during the day and taught BSF classes at night. For 15 years, Jensen grew both BSF and Rafiki. She sent more vocational missionaries, and they started more BSF studies—40 in Africa and more around the world. As a retirement gift, BSF gave Jensen seed money for an orphanage in Uganda. Immediately, she started looking for land in Uganda, Kenya, Nigeria, Tanzania, and Ghana. Within five years, Rafiki had at least 50 acres in each of 10 countries. More than half was given by church officials, government leaders, or tribal chiefs. “That was a result of the Jensens living out their commitment to be a friend—rafiki—to Africans since the ’60s,” Elliott said. Jensen has “always wanted to give Africa the best,” Elliott said. 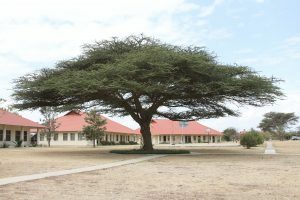 Instead of rows of mats on the floor in a single large building, Rafiki put orphans on beds in small cottages, with running water, electricity, and house “mamas.” When nearby government schools turned out to be overcrowded and poorly run, Jensen built her own schools, using classical curriculum. When quality teachers were in short supply, Jensen added teachers’ colleges to each campus. But about five years in, Rafiki was feeling feel the loss of the BSF materials. At that time, BSF had a daily exegetical Bible study created for around 20 books of the Bible. It took more than 10 years. He was a good choice. Wells grew up in Zimbabwe, and he and Jensen had the same vision: Since Africa does not have a plethora of Bible commentaries and resources, they’d have a little commentary on each book. It would be written for adults, then geared down for the children. The theology would be Reformed. And the context—the illustrations and examples and references—would be African. “I edited every one carefully,” Wells said. Two years in, he retired from the seminary, but kept his office. He went back in every day, writing a book and editing the Rafiki Bible study. The lesson on John 1:1–18 starts by listing the doctrinal focus, which includes the deity of Christ, the personhood of the Trinity, and Christ as God’s revealer. Then follows four or five pages of commentary, to be read on Days 1 and 2 along with the text. More than 10 years and thousands of pages later, Jensen had her Bible study. “It’s quite an amazing thing,” Wells said. She rolled it out in the 10 Rafiki schools, which educate about 800 orphans and another 1,300 kids from the surrounding communities. At the same time, Rafiki employees and teachers’ college students and widows’ groups started using it. Then Jensen called up those old friends and established partnerships with 23 African denominations—which run about 20,000 schools. 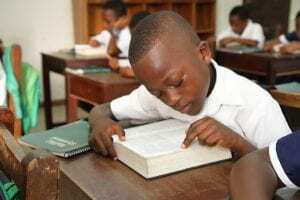 In the next decade, Rafiki expects to see at least 1,000 church schools adopt both Christian classical curriculum and also the Rafiki Bible study. One of those students is Joy John, who grew up in the Rafiki village in Jos, Nigeria. She and her siblings were scattered among relatives before an aunt enrolled her. She’s not done. 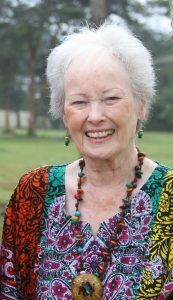 Nearly 90 and in a senior living apartment, Jensen is still the active president of the Rafiki Foundation. Now that the Bible study is complete, she’s working on a new project—getting Bibles into the hands of African pastors, seminary students, teachers, and schoolchildren. In 2017 she started the Rosemary Jensen Bible Foundation; so far, she’s sent out more than 40,000 Bibles.